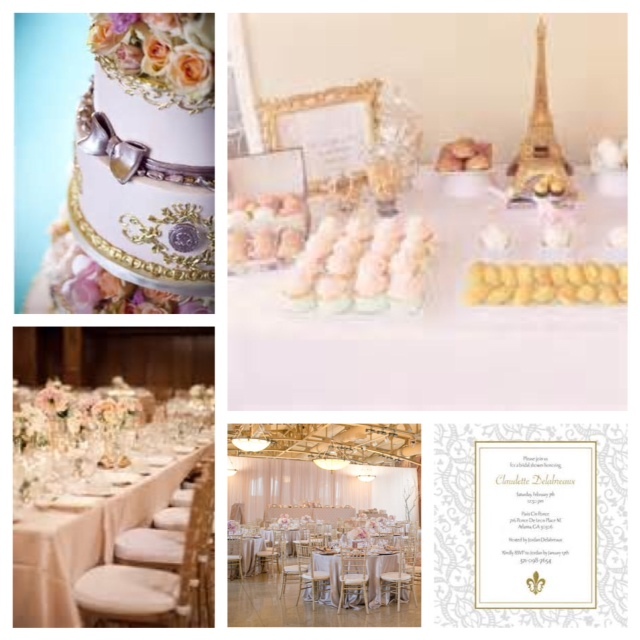 I found myself recently talking to a friend about a wedding theme that she adored. She had a great love for the roaring twenties, which was a time period full of flappers, feathers, pearls, and vintage glam. When thinking of a 1920’s wedding theme, I thought immediately to keep the vintage glam of the time period, but to add a modern twist on it. When discussing centerpieces, she was a not a big fan of flowers and wanted to keep their appearance to a minimum. So I thought of three different options for the big day. 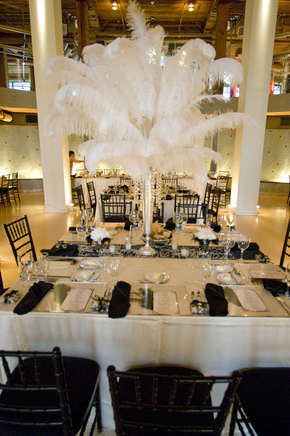 The first option would just to do white ostrich feathers on a silver stand. The second option was to do a tall skinny clear vase with a white rose pomander with two large ostrich feathers coming out the top of it. The third option, similar to the second, but instead of two large ostrich feathers, we do 10 smaller ones, here we are also replacing the skinny clear vase with a silver stand. 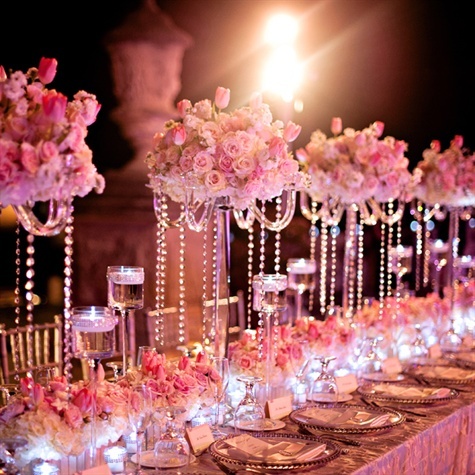 You can also add hanging pearls to the centerpieces to tie in your vintage touch. With centerpieces comes the table linens and chair options. I thought that with the vintage glam theme the best color options would be black, white and silver. There are different variations that you can choose from. 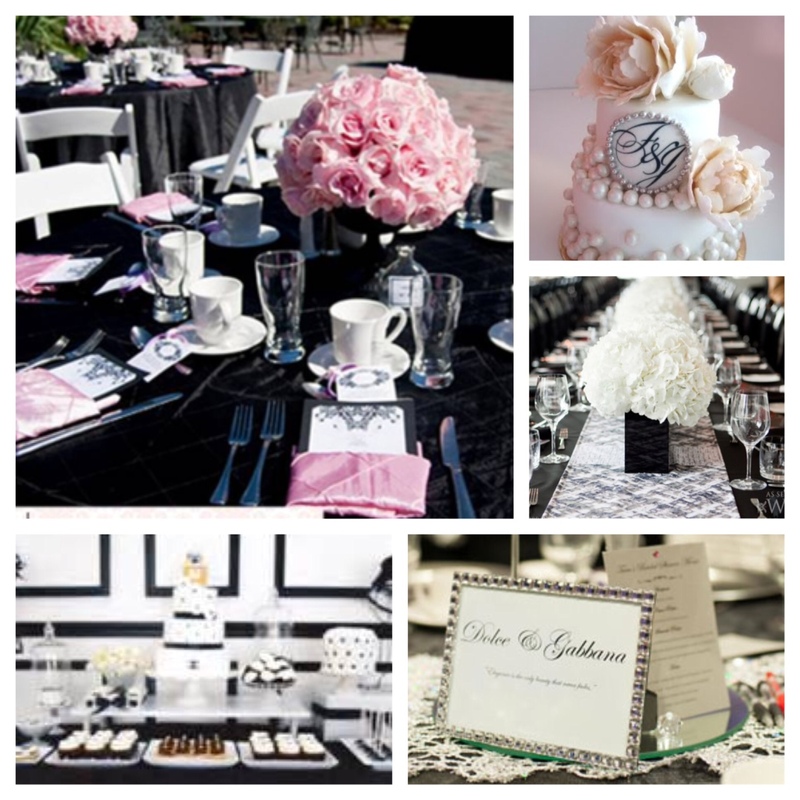 Your first option would be white table cloths and black chiavari chairs. This option would have the centerpiece with the silver stand, having the tall clear vase on the white table cloths will just get lost, you need to add color to the centerpiece when doing the white linens. Here you can do the pomander with the 10 small ostrich feathers. 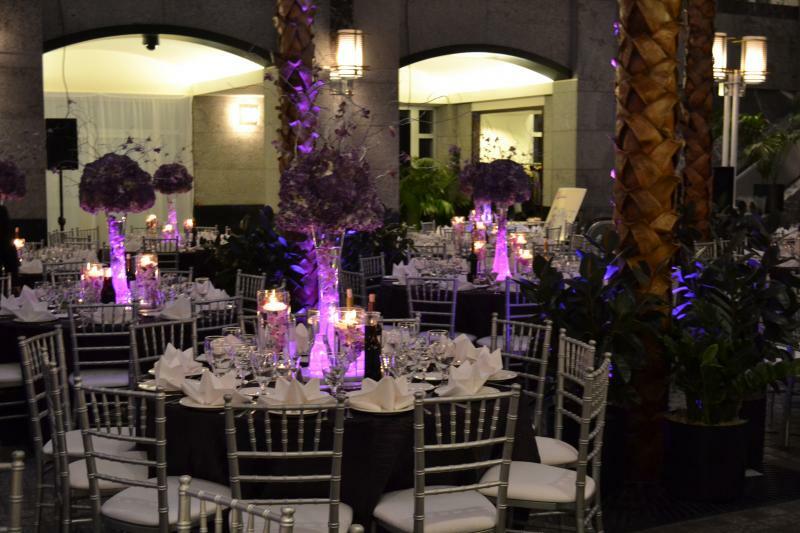 The second variation would be the black table cloths, silver chiavari chairs and the tall clear glass vases. The vases will have the pomander with the two feathers coming out the top of them. 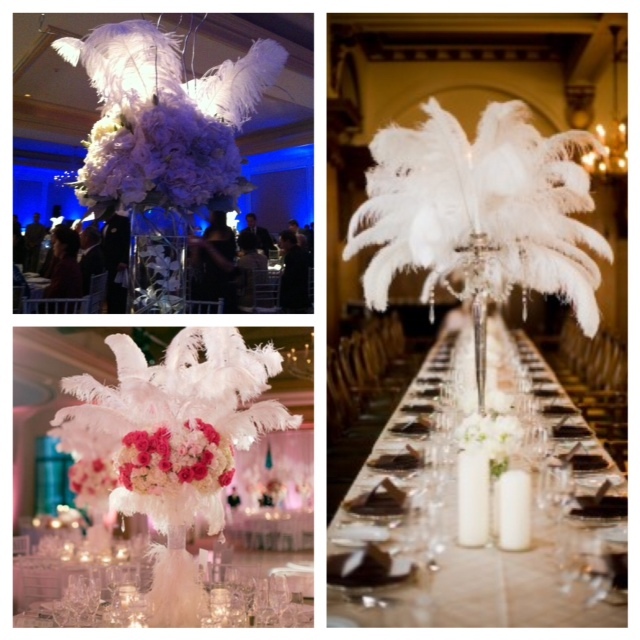 The third variation would be using the silver stands with the ostrich feathers. The table cloths are black and the chairs will be white chiavari. 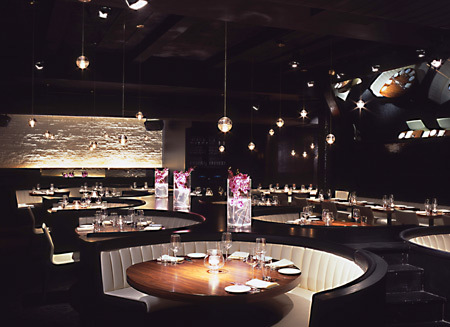 The head table is the focal point of the room and the hanging crystals on the black backdrop show the vintage glam. The color of your backdrop will depend on your linen colors. 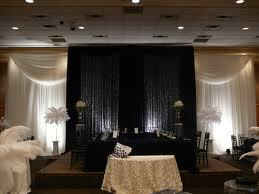 If you do white table cloths, have the white backdrop, if you have the black table cloths, have the black backdrop. 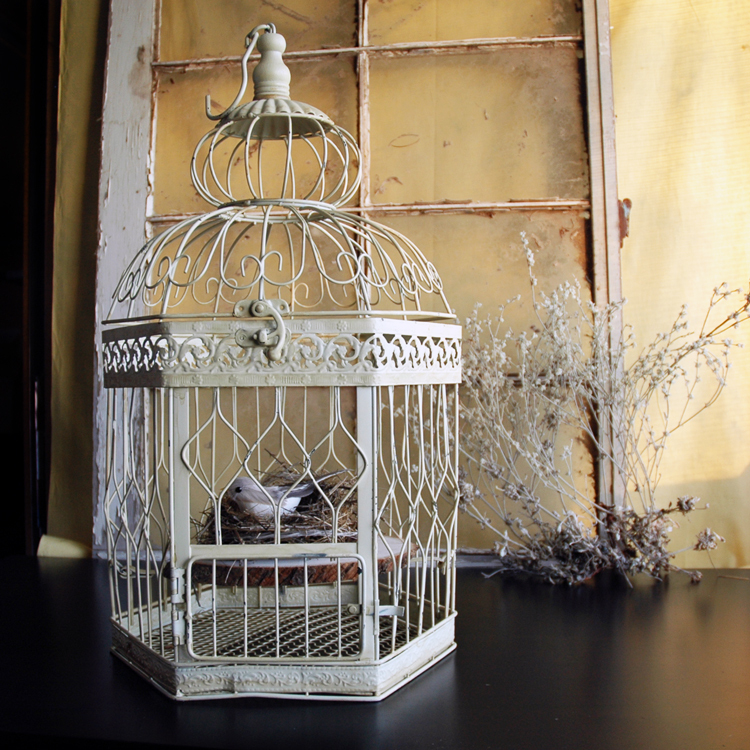 Going with the vintage glam theme, I thought a bird cage card box would be perfect. It screams vintage and it is completely different from the traditional card boxes. When thinking of different ideas for the brides bouquet and the bridesmaids bouquet I thought be brilliant to incorporate the vintage glam feel into the brides bouquet. This bouquet is perfect for the bride who isn’t a big flower lover because it incorporates both the feathers that will be in the centerpieces and the glam broaches. 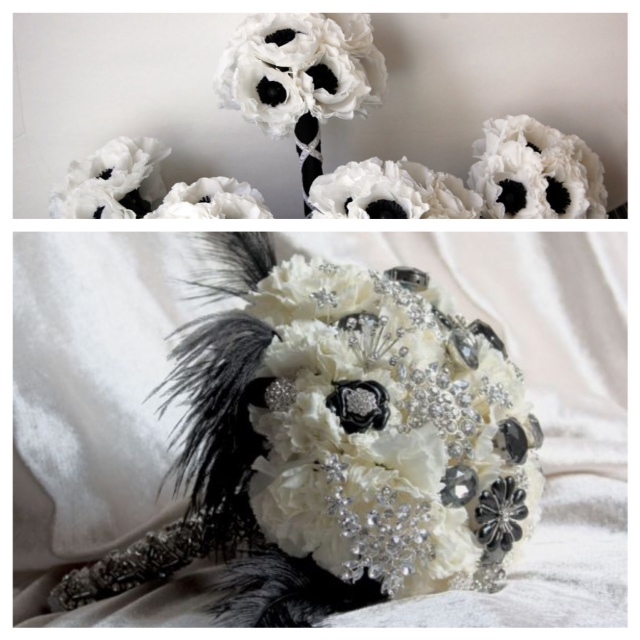 We can continue the glam look in the bridesmaids bouquets by having the white and black flowers. The cake.. there are many options that you can choose from. You can do a white tiered cake with black and silver accents and even add some feathers at the top. Or you can do just a black and white pattern with a silver ribbon. 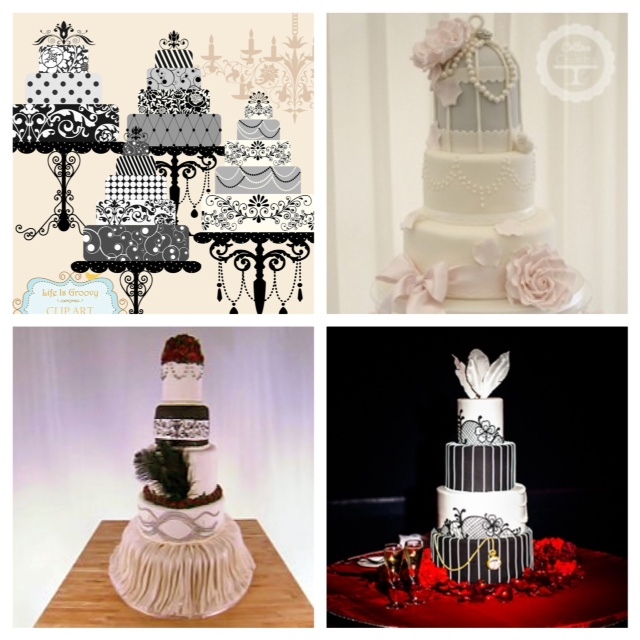 Or you can do a cake like seen in the second picture (top right) but just change the colors to black, white and silver. The top tier is nice because it looks like the bird cage that you will have as your card holder, this cake has more of a softer touch to it. Finally the invitation. Make your guests excited about your wedding. It’s nice to tie in your overall wedding theme into your invitations. You need to make sure that you are 100% about the theme of your wedding before incorporating it into your invitations, because you don’t want your invitations to say vintage glam and then you end up doing a rustic wedding theme. You didn’t really think I was going to leave out the wedding dress inspirations did you! 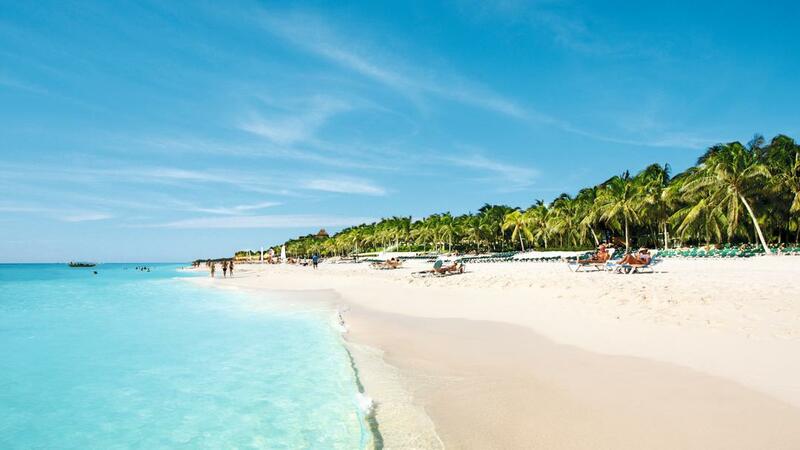 I used to intern at Paloma Blanca, a Canadian wedding distributor. You can see a lot of their dresses on TLC’s I found the Gown. Anyways, ever since working there I have had such a love for all things wedding, as you can tell, and wedding dresses in particular. 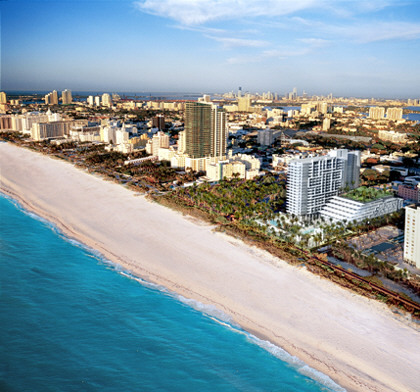 There are so many different styles that you can choose from. You can always get a dress that ties into your theme, or you can just pick a dress that you love, a dress that says your name written all over it. You can have one dress for the entire day, or you can have a ceremony and a reception dress. For this vintage glam theme I chose three different variations of the sheath dress. 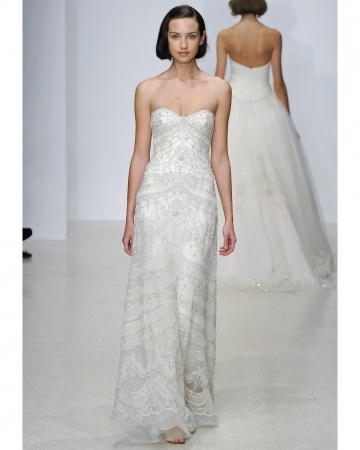 The first option is an sequin sheath dress with a key hole back and the front is a v-neck. 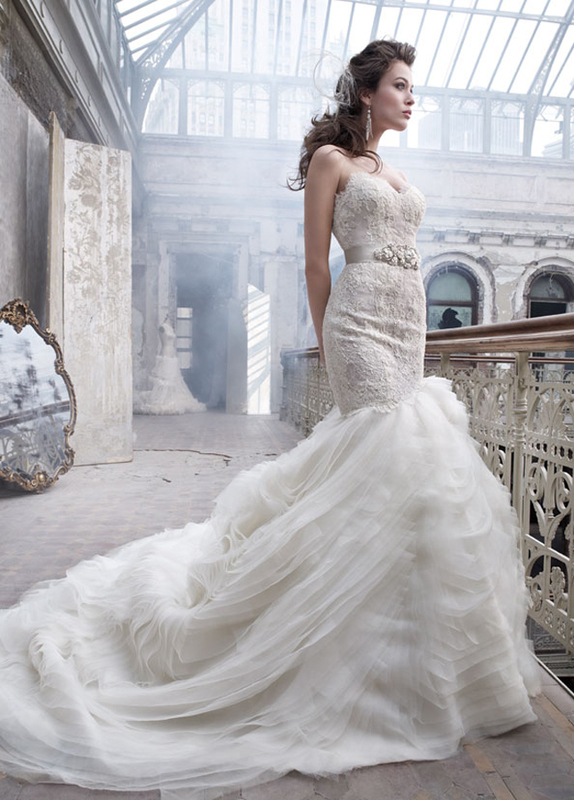 The second Pnina Tornai dress is a v-neck satin sheath dress with a sequin belt under the breast. Finally, the third dress is a high neck lace dress with a satin underlay. The next three options are fuller skirts. 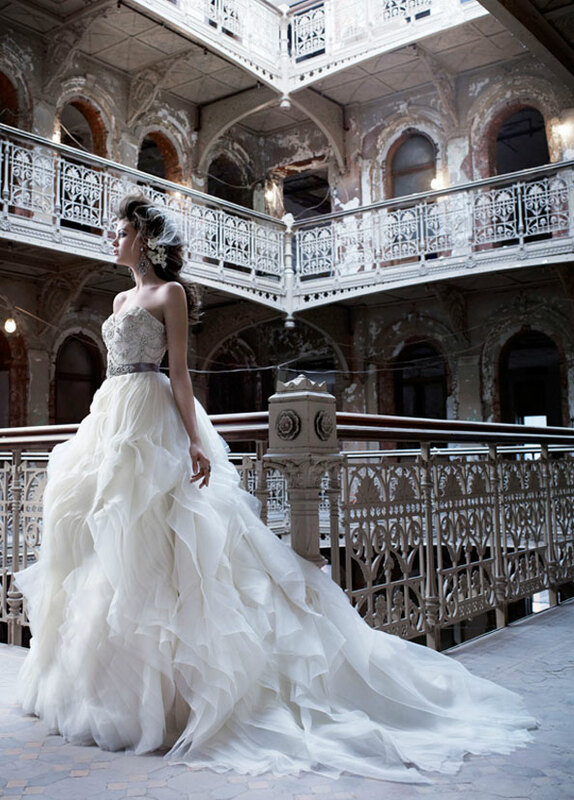 The first two are gowns by Pnina Tornai again and are two completely different looks. The first look a deep sweetheart with a rouged bodice in all satin. The second dress a see through sequin bodice with a full feather ballgown with a slit. The third dress is a sweetheart ball gown with a sequin belt under the breasts. I hope you enjoyed this vintage glam wedding inspiration (I know my friend will lol). When planning a bridal shower, brides often think that the theme of their wedding has to continue onto their bridal shower theme, but that is not the case at all. Your bridal shower is more of a smaller gathering, well for my family, it is still a gathering of about 150 people, but you know what I mean! It is a chance for you to do a theme that maybe you weren’t too sure about for your wedding, or a theme that is fun. 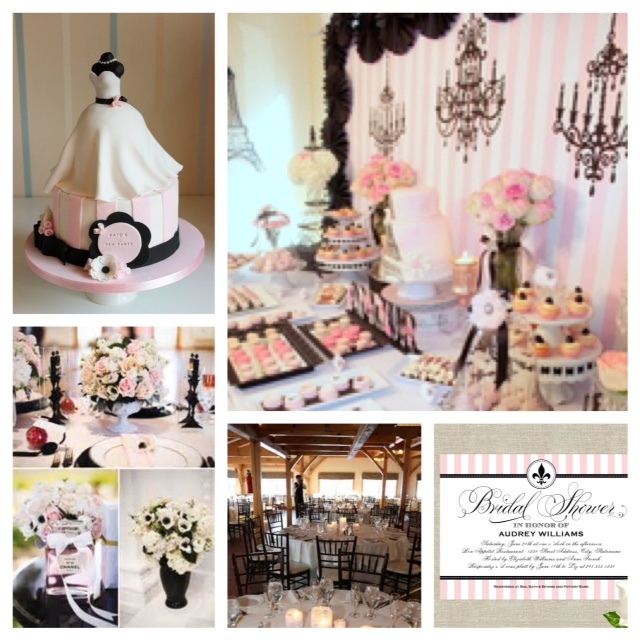 There are hundreds of different themes that you could do for your wedding shower. 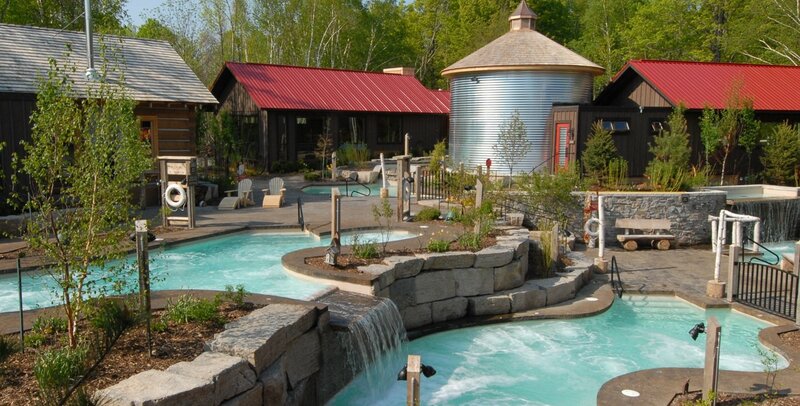 Here is a few to get some ideas flowing! 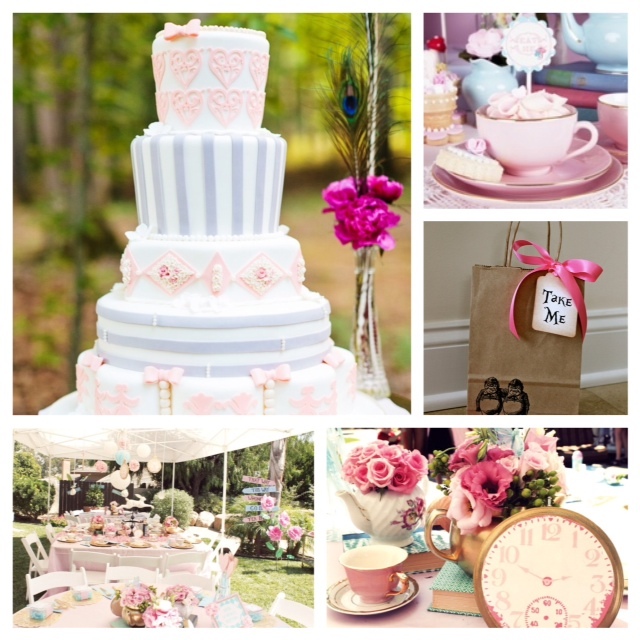 – Tea Party Theme, there is so much you can do with a tea party theme, because there are so many different variations. 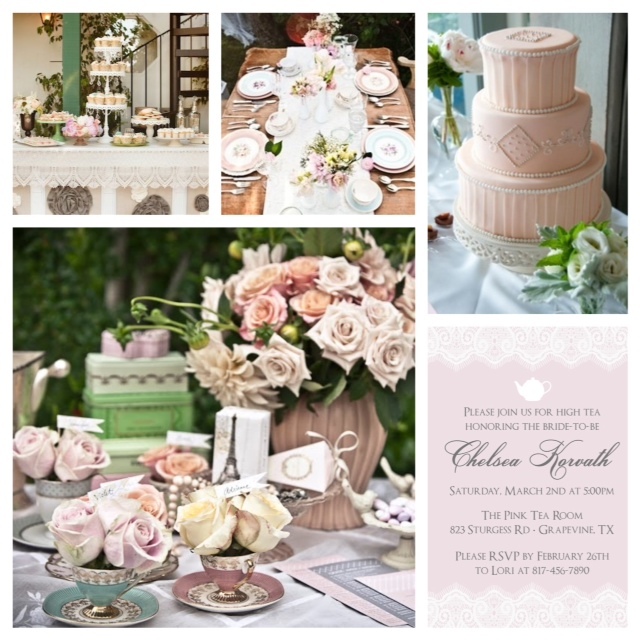 You can have a traditional tea party theme, also known as a white-gloved affair, or you can do more of a Victorian tea party, which has pastels and vintage inspirations. The colors are soft and so are the decorations. – Alice in Wonderland, this theme is more of a whimsical tea party. You can incorporate the theme by adding labels to drinks, food and to the dessert table. These labels will say “eat me” and “drink me”. Then you can have “take me” on your favors.The colors are pastel pinks, blues and purples, with accents of gold. This is a theme that can still remain traditional in a sense, but you can have a lot of fun with it. 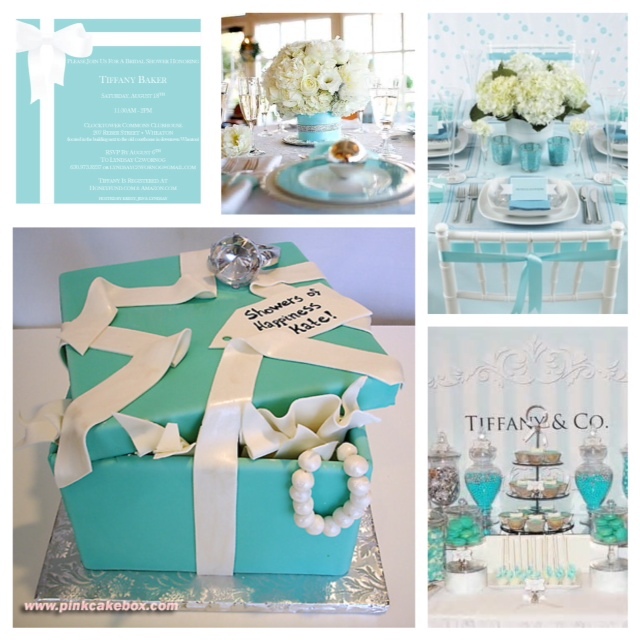 – Tiffany Theme (with or without the Audrey inclusion), with accents of Tiffany blue, glitz and bows. With this theme you have to make sure that you carry it throughout your entire shower, if you don’t think that is possible, just do a colored theme and incorporate the Tiffany blue as an accent color. With the picture below, you could always use a Tiffany shopping bag as the centerpiece and put white or pink flowers inside of it. Remember, there are always other options. – Parisian Theme, Paris is a city filled with fashion and beauty so you can really see those two aspects within the Parisian theme. Within this theme there are three different color boards that I have put together. 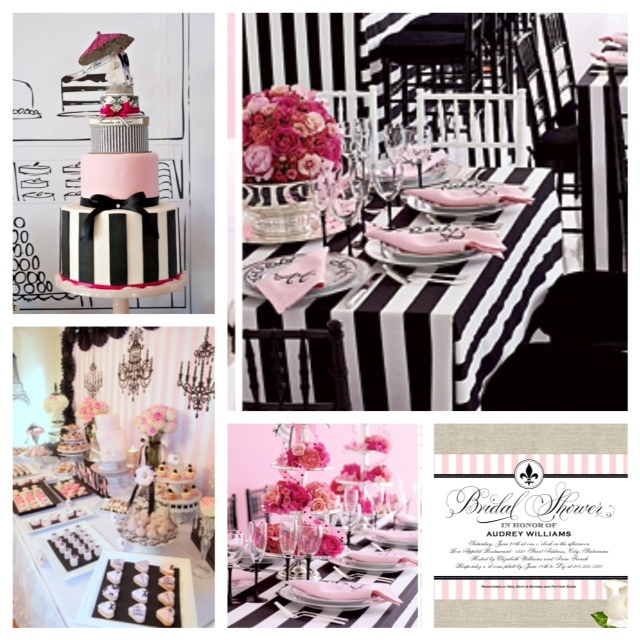 This Parisian theme is more of a patisserie theme, with big accents of black throughout the theme. The black and white stripes go back to the small Paris patisseries. This theme is not subtle, it shows more of a statement, so if it does not fit your personality, there are two other design concepts that I have come up with. This theme still has the Parisian theme but it has more of a chic look to it. It still has the black accents but the stripes are not gone and it is replaced with white table cloths and black chairs. The color scheme here is pink, white and black. Again, if the black here is still too bold, I have one last design for you. This Parisian theme is more of a chic and fabulous sort of design. 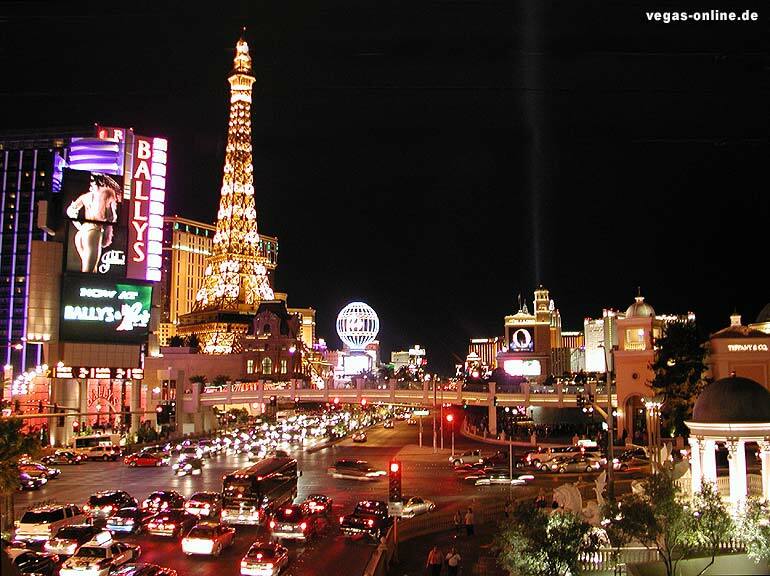 The black has been eliminated and it has been replaced with the rich gold color. The color combination here is gold, peach, ivory and blush. This theme has a vintage feel to it, but still brings in the beauty of Paris. 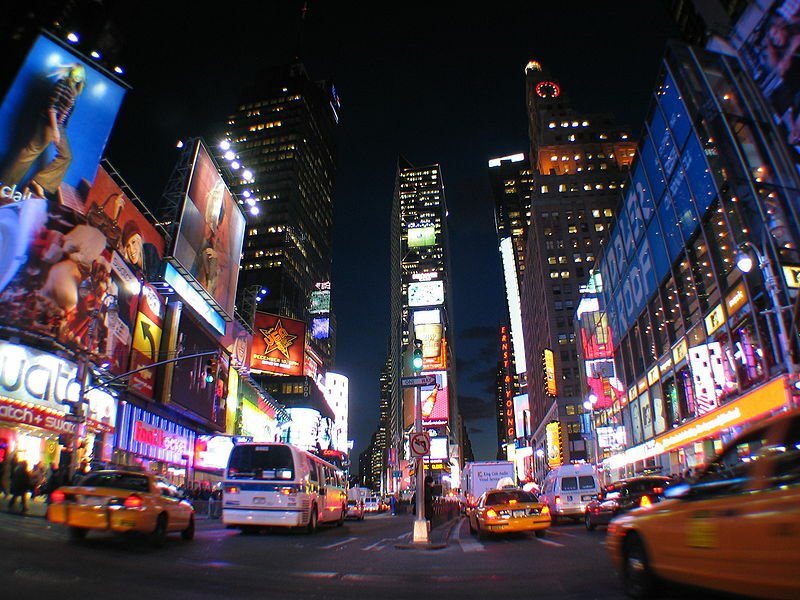 – Fashionista theme, Now there are a lot of different looks for this specific theme. There is the common fashion theme where there are either designer bags on each table filled with flowers, or a little flower center piece that has a miniature fashion mannequin on each side. These mannequins are normally made with chicken wire. If you do not want to follow these common ideas or themes, spice it up a bit and still keep similar ideas, just make them your own. Fashionista’s like labels right? So make each table a different designer, if you have 20 different tables, pick 20 of your favorite designers — For example, Gucci, Prada, Fendi, Burberry, D&G, Jimmy Choo, Chanel, Michael Kors, Valentino, Givenchy, Louis Vuitton, Christian Dior, Versace, Alexander McQueen, Escada, Marc Jacobs, Oscar De la Renta, Vera Wang, Yves Saint Laurent, Ralph Lauren, Christian Louboutin and Manola Blahnik. With this theme I’m choosing the chiavari chairs in white (you can also do black) and making the table linens black. Black has always been a fashionable color and can work as a blank canvas. 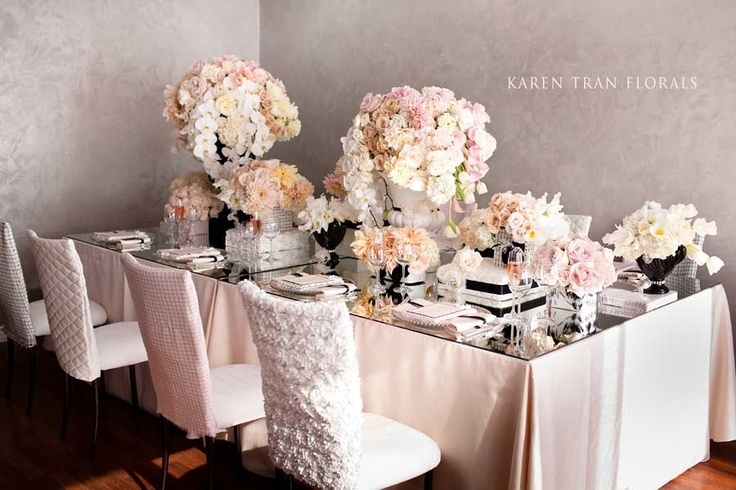 By using a light color in the flowers, such as ivory, you can really give the room and each table a pop of color. Just because it is a fashionista theme, it doesn’t mean there has to be mannequins or fashion bags everywhere, being a fashionista is about being chic and being stylist, so let that show through in your shower. If you want to throw some fashion into your shower, have your center piece sitting on high fashion magazines, or have the designers labels show through in your cake. 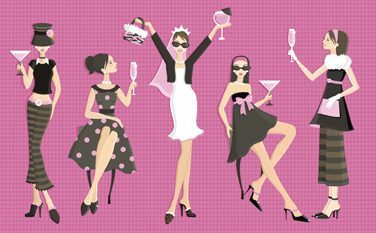 I hope you have enjoyed these themes, and again, these are just a few bridal shower themes, there are many more that you can find online. All pictures were found on Pinterest. 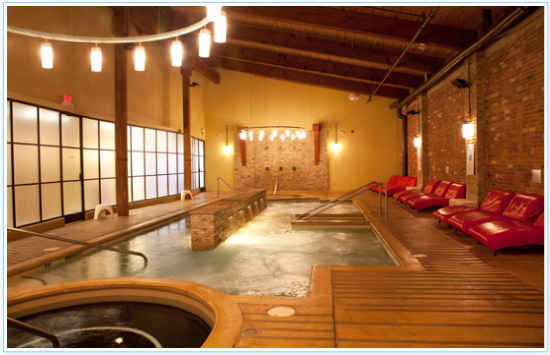 Planning your wedding can be the most intriguing experience ever, it can also be extremely stressful. 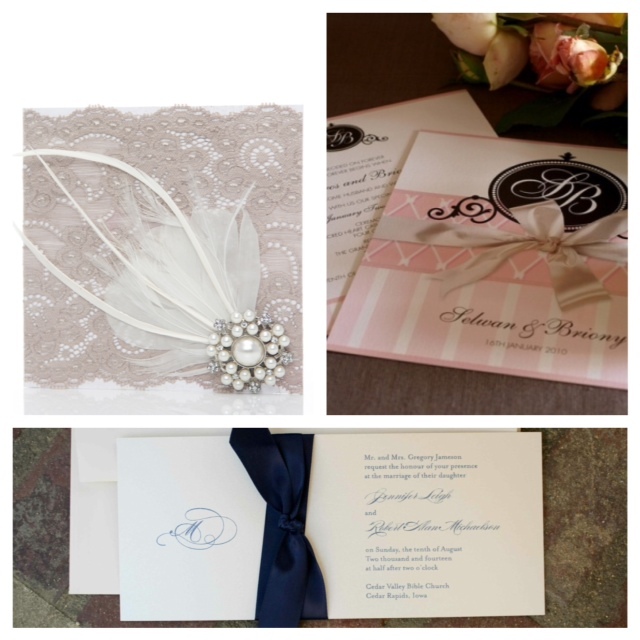 Picking the theme of your wedding sets the entire tone of your day. 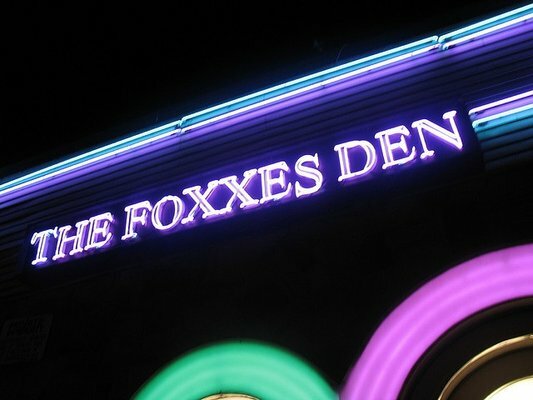 Your theme includes your flowers, decor, table linens, center pieces, bridesmaid dresses, bouquets, and much much more. 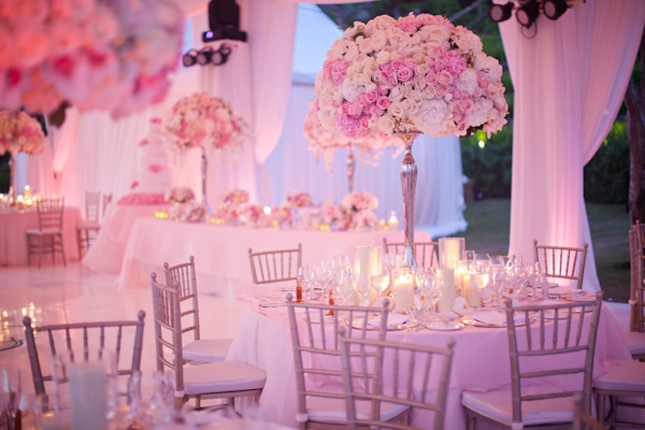 Your theme includes colors and the overall ambiance you want to set on your wedding day. Picking colors can be stressful, you may not know what looks good together, but your wedding planner, florist and banquet hall manager will be able to help you if you have no ideas, or ideas that are still up in the air. The theme that I will be showing you today is a sort of regal elegance. 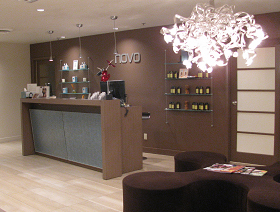 It follows a color story board of blush, ivory and gray. If you have a soft neutral-like color, add in a little metallic to make the neutral pop, which is what I am doing with the gray. 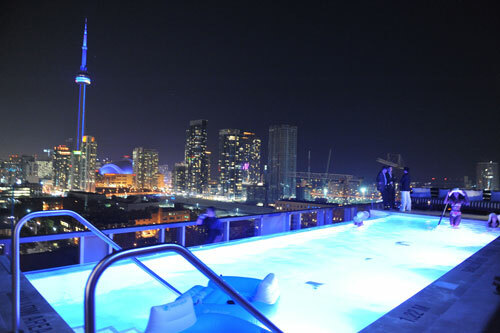 This is just an idea of the colors that I was talking about. The chairs are also really fun. For this particular theme I suggest either doing a silver bamboo chair, or the white quilted chair. Whichever chair you choose will have a different vibe and theme. The bamboo chair, a more regal elegance, and the quilted chair, a more chic young vibe. You can still keep the gray with the white quilted chair, just do it in the bridesmaid dresses and you can have jewels or bling hanging from your rose centerpieces. See image below. 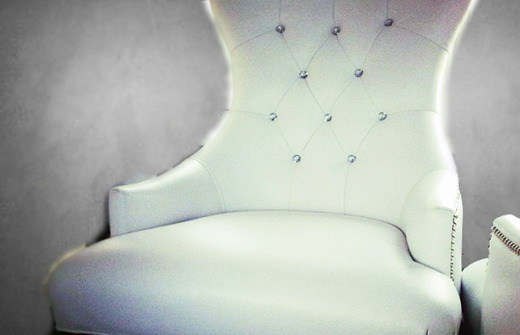 If you are choosing the white quilted chairs, two quilted white king chairs would be a beautiful touch to your wedding. This center piece will work with whichever chair you choose, bamboo or white quilt. 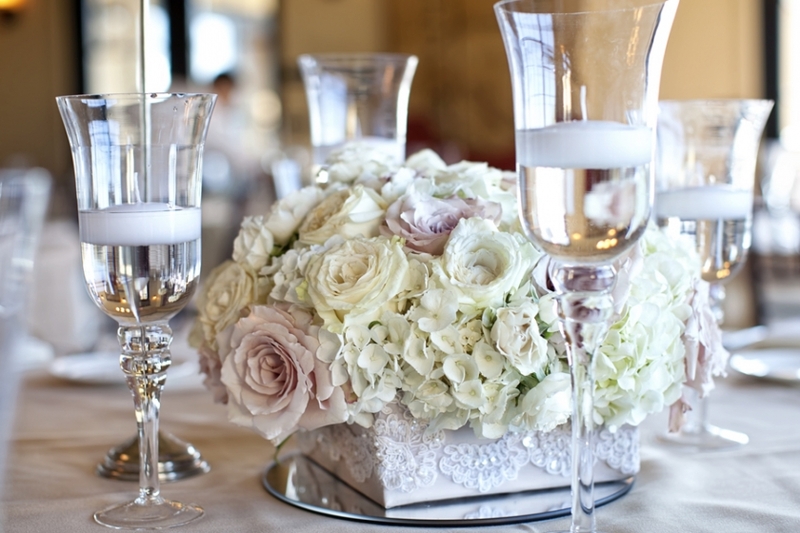 This centerpiece is very elegant and chic. 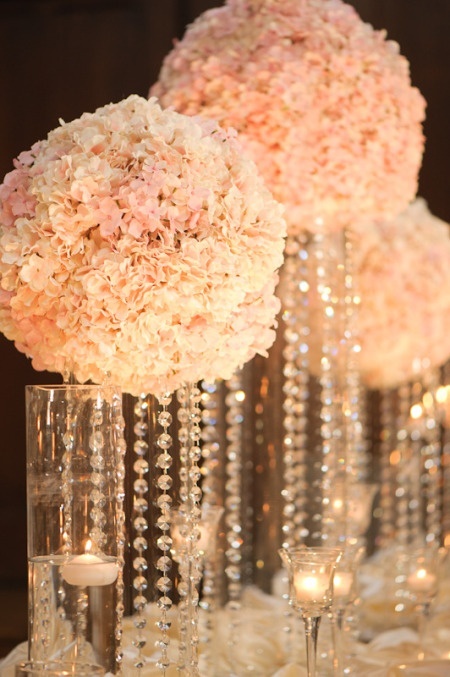 These centerpieces are tall and you do not necessarily have to put only one at each table, it depends again on your theme and how grande you want it to be. You can add skinny tall vases beside the pomander one and put a floating candle in it. You can create the grande element in your head table and keep the simplicity in your guests tables. This is an alteration of the center piece design. This one has the large vase as the centerpiece but sitting on a silver stand, opposed to tall glass center pieces. 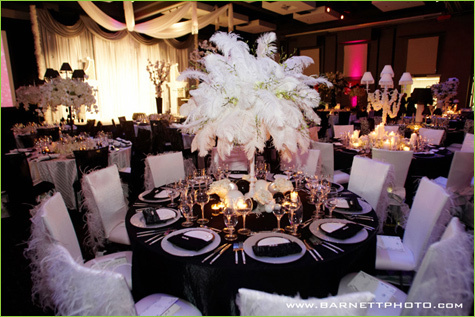 This picture also showcases the silver bamboo chairs with the white linens. You can always switch up the white linens to a pattern – whatever suits your style. The chairs can also be replaced as well, the decision is completely your own! 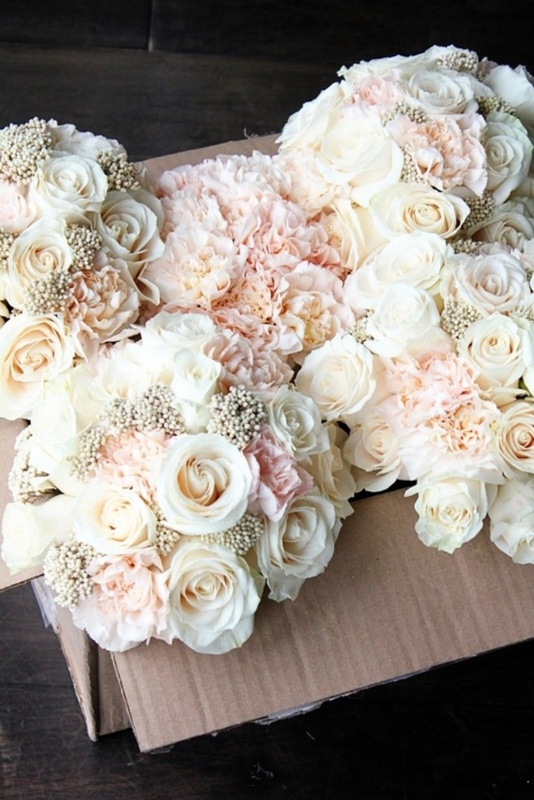 This is also a beautiful option, you can just add some pink flowers into the already white centerpiece. 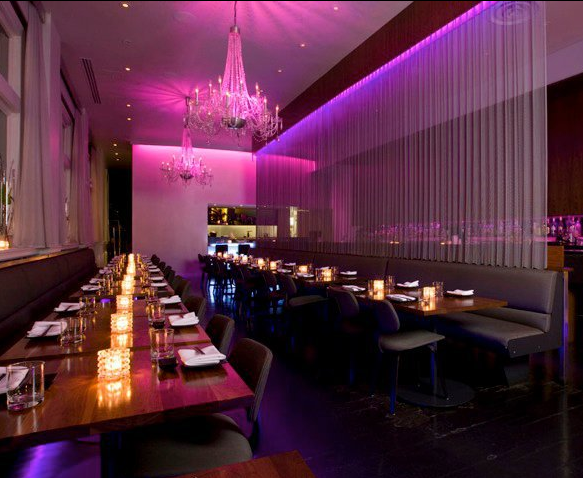 Like stated earlier, you can create the element of grand in your head table. The only concern with having tall vases at your head table is that your guests may not be able to see your entire bridal party. You can always make the vases similar, just shorter, to keep the same decor. These little centerpieces are a nice alternative for a head table, so that your guests are able to see the bridal party sitting at your head table. The colors still tie into your overall theme, and you can even have larger centerpieces on each end so that they are not blocking your bridal party. These bouquets are absolutely perfect for this theme. It has the white and the blush roses, and even has the babies breathe, which makes it look a little bit like gray was added to the bouquet. For the brides bouquet you can keep the same flowers, just make it look a little more grande, and around the bottom of the bouquet you can have a band of jewels, or even have jewels hanging from the actual bouquet itself. Your wedding cake tends to sit on its own table, often near the head table, if not on the head table. 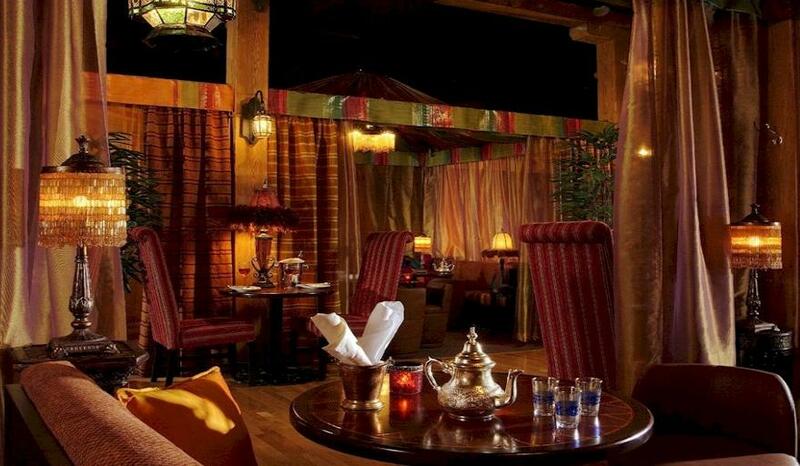 You want it to stand out and going with the regal-chic theme you want it to be classic as well. 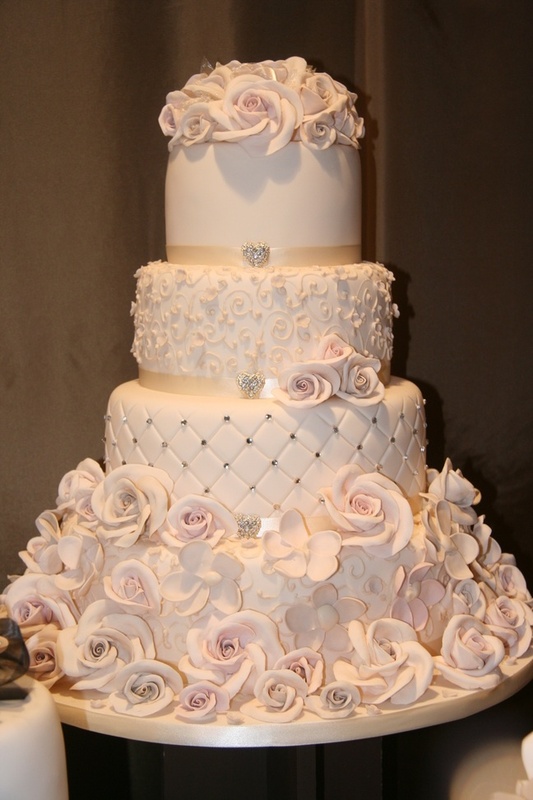 This 4 tier cake is beautiful and keeps your rose theme together and unified. The quilted look is extremely beautiful and can create elegance within your cake. You can always change the piping or the design on the cake, but this cake’s general template is stunning. Lastly, the bridesmaid dresses. These dresses, found on Pinterest, tie into the theme perfectly. 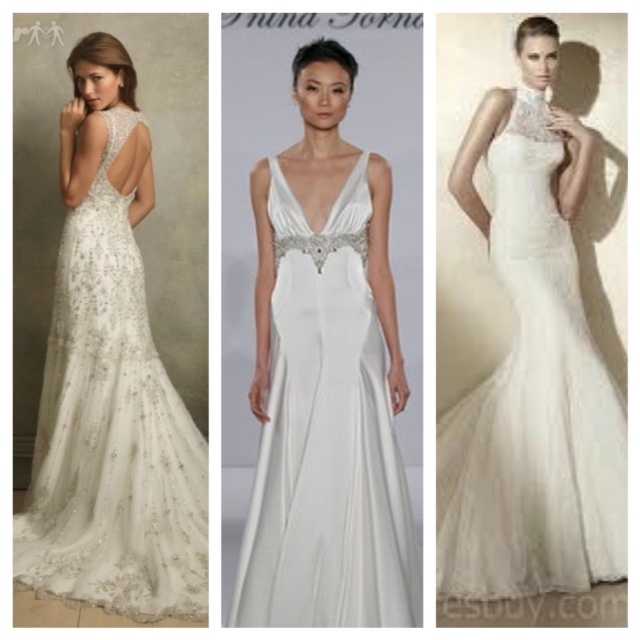 They are beautiful, chic dresses that have a little bit of sparkle, just like your wedding. It is also the perfect gray- you can always go lighter on the gray as well. Photo Credit: All of these pictures were taken from Pinterest. Big Chic Greek Wedding, let’s call it Ch-eek! When my brother told me he was going to propose to his now wife, I was over the moon excited for the both of them. The bride and groom both had a lot of great ideas for themes and designs for the wedding. This wedding had around 450 guests and was held at Paramount Banquet Hall in Woodbridge, Ontario. The venue itself was breathtaking and the room that the reception took place in had a staircase as the centerpiece for the room. The color theme was black, white and blue, and the theme definitely showed in all of the decor. There was a blue under-lighting on the walls in the reception room and each center piece was a large vase that encompassed chic tree branches and white flowers. The head table, which was two rows of bridal party, had a black and white gorgeous backdrop, which emphasized the theme and brought such class to the room. The cake was simple and classic 4 tier cake, with a black pipped design, silver diamonds, a black bow and a quilted look. The wedding turned out beautiful and you could see the love in the couples eyes throughout the entire night.